Need a solution that lets you accept deposits or payment plans on your WooCommerce site? This comes in helpful if you’re selling big-ticket items, using WooCommerce for bookings, or plenty of other more site-specific situations. 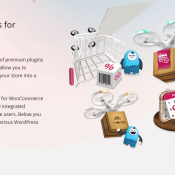 WooCommerce doesn’t offer that functionality by default. But with the right plugin, you can start accepting deposits in no time. 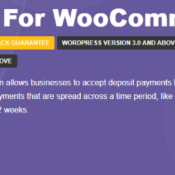 The aptly named Deposits For WooCommerce is one of those plugins. It aims to provide a solution for the affordable price of just $39.00.